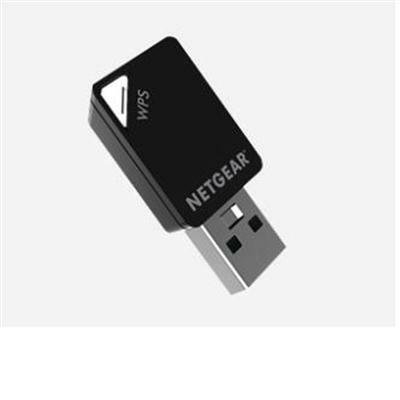 The Netgear AC600 WiFi Dual Band USB Adapter wirelessly connects your notebook or desktop computer to an 11ac network for applications such as lag-free, HD streams throughout your home, online gaming and a secure and reliable connection to the Internet. It is compatible with next generation WiFi devices and backward compatible with 802.11 a/b/g/n devices. The AC600 WiFi Adapter delivers speeds up to 150/433 Mbps and dual band WiFi technology reduces interference for better connections to more WiFi devices.